In addition to its ability to read most encoder-type flow meters, the EtherMeter also features pulse-input support. 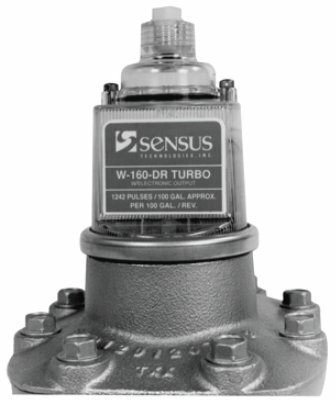 Note that the Sensus High-Speed Pickup requires an external +12VDC power supply. In this application, we recommend using a single +12VDC power supply to power BOTH the EtherMeter and High-Speed Pickup.